In his first two reports from the European Individual Championship in Aix-les-Bains, Sergey Shipov described arriving in the small French town, and also addressed the failure of the favourites to dominate their much lower-rated opponents in the first round. For more details on the tournament see the official website, from where I’ve taken some photographs, and also the full results and standings at Chess-Results. 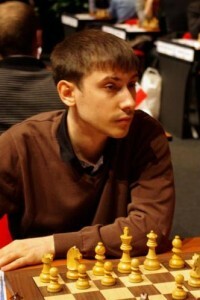 GM Sergey Shipov is writing his “letters from France” for Crestbook. The first can be found here in Russian. Before we took off everything was going badly. And that’s a good thing – if you believe in omens. What starts off difficult should end well. We flew out of Moscow in the evening, on what was essentially the last flight. 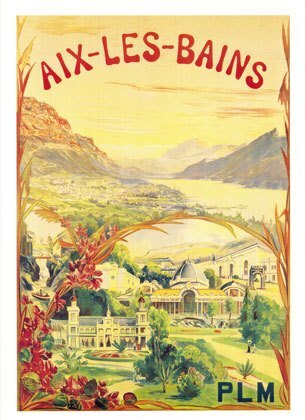 We were met in Geneva and then driven through the night gloom to the small French town of Aix-les-Bains. Quiet, provincial, well-kept. The people living here are mainly indigenous. It’s not like Paris and other capital cities. The streets are lined by strange leafless trees, and all around there are little restaurants, chocolate cafes and other small establishments. The competition among them is apparently colossal, but it seems there are enough of us – tourists. The surroundings are extremely picturesque: mountains on three sides, some even snow-capped, while to the west there’s a large lake. The spring sunshine warms as if it’s summer. All in all, it’s a resort. I’ll say a few words about the rules. For being late to a game you immediately receive zero, so people are going to the round with time to spare. You’ll agree it would be stupid to travel to a far-away land only to lose a game without a fight. The time control appears to be perfectly normal: one and a half hours for 40 moves, then 30 minutes until the end, with a 30 second increment from the first move onwards. But there’s an unpleasant nuance – after making your 40th move the half an hour you’ve earned isn’t added to the clocks. That only happens if the given 90+40 x 0.5 = 110 minutes have run out. Meaning only when your flag drops! As a result, people in time trouble won’t be sure they’ve made the necessary 40 moves and will continue to bash out moves – just in case. That’s usually how you let an edge slip. And ruin decent positions. In general, it’s something people will have to get used to. So those are my first impressions. If everything goes to plan then I’ll share my impressions with Crestbook readers. P.S. I forgot to mention the main thing – I’m at the European Championship as a trainer (there’s one very promising lad who I’m working with just now). I didn’t have the urge to play myself. There were reasons for that. As if often the case, Shipov’s next report first requires some linguistic explanation! The title, “the first pancakes” has at least a double-meaning. 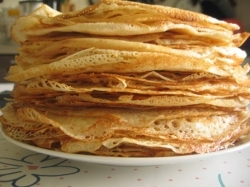 Russia, like many countries, recently celebrated Mardi Gras, or rather Maslenitsa = Pancake/Butter Week (see this good account of it here). There’s a saying linked to the event that “the first pancake always comes out lumpy” (though some claim the same words means “is given to the bears”! ), which in general use refers to the observation that first attempts rarely go well. That’s perhaps the main sense of how Shipov describes the tournament’s first round, but blin (= pancake) is also a mild Russian expletive, which I’ve translated as “damn” below. With explanations out of the way, here’s Shipov! In the first round there were a lot of unexpected results. But that’s more the effect of unjustified expectations and assumptions. When comparing the players the spectators look at the rating difference and come to the conclusion that the fair-haired guy is simply stronger than the dark-haired guy, and therefore he’s bound to win. The first point is true, as a rule. But that’s only demonstrated by all the performances taken together. Statistics. The integral of a large time interval. But the second isn’t so obvious. In any particular one-off game anything can happen. Everyone’s capable of playing nowadays. No-one’s obliged to leave pieces en prise. The principles of development and the fundamentals of positional play – they’re no secret to anyone. Moreover, the draw always benefits the dark-haired guy. That’s why he can get away with playing solidly, not opening up, and not taking unnecessary risks. And the drawing tendencies of chess are well known. In principle, switching from strong round robins to mass Swiss events is always psychologically difficult. In a round robin tournament there’s equality and a draw is your bread and butter. A draw with either colour against any opponent in a round robin – isn’t so bad. 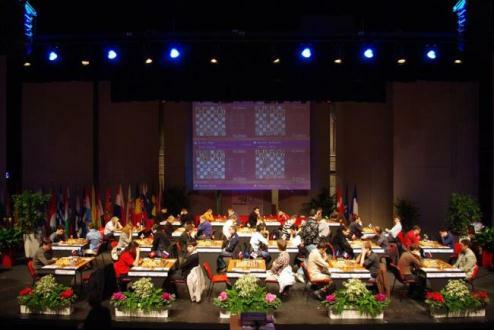 While in an enormous Swiss event a few draws are enough to put an end to your ambitions. Dozens of rivals will race ahead of you, and you won’t catch them all. And again, many find it painful to lose rating points. So that’s how you end up with top-class players doing heaven knows what at the board. They smash up the position, change their style, search for gold amid ashes. 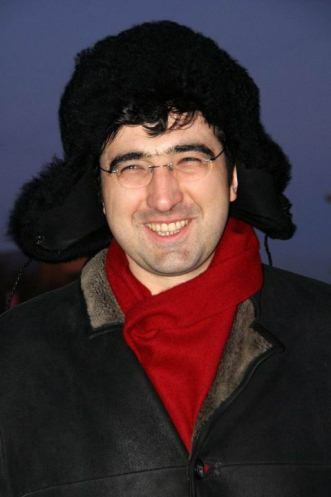 Therefore it would be wrong to criticise Jakovenko, Sjugirov and others for managing to lose in the first round. They’re only guilty of really wanting to win, while their opponents… simply played normally. They didn’t submit. 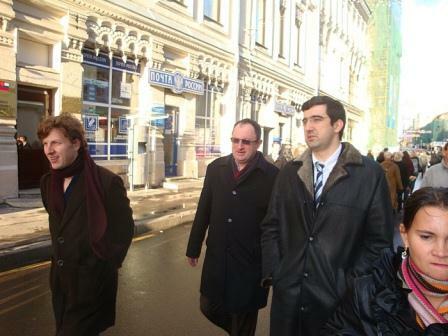 You should also marvel at Svidler’s composure. Having made a mistake, he calmly, at least on the outside, agreed to a draw by repetition. The tournament, after all, is long. And it’s better to start it with a draw than a loss. The weather here, in Aix-les-Bains, is heating up by the hour. Having forgotten about my traditional March colds I took off my coat and began to walk the streets in almost summer clothes. All because I saw some local French kids who were walking around and playing in t-shirts. I compared them to me. I thought, well, if you just wore a hat with earflaps and winter boots – then the contrast would be even clearer. Everyone would realise that a true Siberian had come to visit, one of those famous not for the fact that they don’t get cold, but for wrapping up warm. In general, we mimic the locals. And, in passing, we pick up French words. It can be amusing at times when a single phrase contains a mix of words from French, English, and from our own native Nizhny Novgorod (for example, the interjection “damn, how do you say that in their lingo?”). The ability to understand such speech is not something granted to everyone. I really envy the Russians living in France – Tkachiev, Tregubov and co. It’s amazing how easily they switch from pure Russian to pure French. And they wisely avoid English, which, as we know, is out of favour with the jealous French. It’s not a matter of playing chess. You need to learn the language. Personally, I’ve already given up on that. It’s just not to be, and there’s no longer any time. Hahahaha indeed, seems something is missing from their heads!